This month there is a new series out called Our Australian Girl. Each story in the series is set in a particular era of Australian history and the first books in the series explore the convict era and colonisation, the goldrush and Federation. In the first books we meet Grace, Letty, Poppy and Rose. Each of their stories begins in a different era and each character has their own series of four books. Today we are lucky to have one of the authors visiting Soup Blog. Gabrielle Wang is writing the series about Poppy. 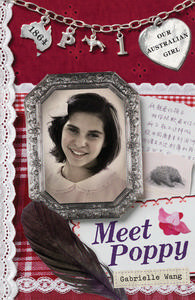 The first book, Meet Poppy, is out now. Were you asked to write Poppy’s story in particular? I was given the name Poppy by my publisher. But they let me decide on the era in Australian history that I wanted to write about. I chose the Gold Rush because it was a very exciting time, and because my great grandfather came to Australia then. He was Chinese. I have written him into the third book which is called Poppy and the Thief. I have never met my great grandfather so I don’t know what kind of man he was. I therefore had to make up a lot, especially about his personality. But I did know what town he settled in and what he did for a living. There is a plaque in Wahgunyah on the Murray River that is dedicated to him. He was a pioneer in that area. 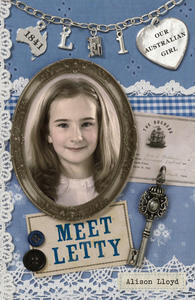 Poppy’s story is set in 1864. Did you have to do some research before you starting writing? With historical fiction you always have to do heaps of research. Even though Poppy is not a real person, a lot of the facts in the novel are true. For example, Harry Power is a real bushranger. When I write a story, I see a picture in my mind as if I’m watching a movie, so before I could start the Poppy series I had to have an image in my mind of the way Victoria looked back then—the towns, the way people dressed, their hairstyles, the food they ate etc. Because 1864 is quite early in the history of white settlement in Victoria, most of the towns we know today didn’t exist then. I had to be very careful not to write about a town that had not been built yet. How long did you need to research before you were ready to write? I researched the story for about 4 months then I wrote a first draft. This is when you write and don’t stop to do corrections. You just want to get the story down. There are four books in the Poppy series but I wrote the first draft as if it was one long novel because that’s what it is really. Each small novel is only a part of a bigger story. Of course the research part doesn’t stop when you start writing. For example, in Meet Poppy, I needed to know how people lit stoves and fires in 1864. Were there matches? I needed to know what kind of lighting they used and what washhouses looked like, and much much more. As I wrote the story I was constantly on the internet searching for small details like these. We are so lucky that Google is available. It makes writing much easier. Did you go anywhere else to find your information? I went to the State Library of Victoria and did a lot of my research there. Unlike suburban libraries, you are not allowed to borrow the books from any State Library. I also took books out from my own local library, used the Internet, bought books to keep, and interviewed people. The story takes place along the Murray River, so I drove up to Beechworth and stayed for the weekend to get a good idea of the vegetation and have a look at the historic towns there. Poppy is born to a Chinese father and an Aboriginal mother so I have had to work closely with several Aboriginal people to make sure everything I wrote concerning Indigenous matters was correct. Do you think growing up in 1864 was very different from growing up in 2011? Try to imagine what life would have been like back then. There is no electricity, no computers, no aeroplanes or cars. The toilet is outside or just a hole in the ground. You ride on horses or in carriages or else walk. If your father is a gold prospector you probably live in a tent or bark hut if you’re lucky, by the banks of a creek muddied with gold panning. You don’t go to school unless you live in a town. Probably at least one of your brothers and sisters has died. If you are an Aboriginal girl, life is much worse for you. You would be forcibly taken away from your parents and put on a mission like Bird Creek. There you would be trained as a servant girl to work in a rich person’s home. You most likely would never see your mum or dad ever again. What do you like best about Poppy’s character? Poppy is brave, much braver than I could ever be. She is resourceful and creative and most of all, she is very kind. Have you read any of the other ‘Our Australian Girl’ books? Yes. I love Grace and Letty and Rose. They are all such strong characters and their stories are very exciting. 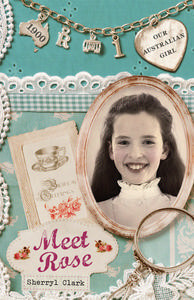 Did you find writing ‘Meet Poppy‘ any different from writing your previous books? 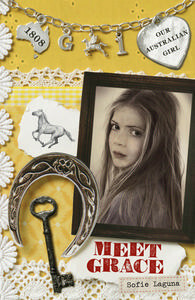 The Poppy books, Meet Poppy, Poppy at Summerhill, Poppy and the Thief, and Poppy Comes Home are a series and I’ve never written a series before. But now I have a taste for it, I’ve decided to start on another series soon. I’m not sure what it’s going to be about, or what my main character will be called. I’ll let it simmer away in my mind first. Wh enever I visit a school to talk about my books I’m constantly on the lookout for names to use in my next story. Gabrielle Wang’s books include The Garden of Empress Cassia, The Pearl of Tiger Bay, The Hidden Monastery, The Lion Drummer, A Ghost in My Suitcase and Little Paradise. You can find out more about her and her books on her website http://www.gabriellewang.com/. You can find out more about the Our Australian Girl series on the series website. The website also has a fun page including a quiz, activities and a competition.